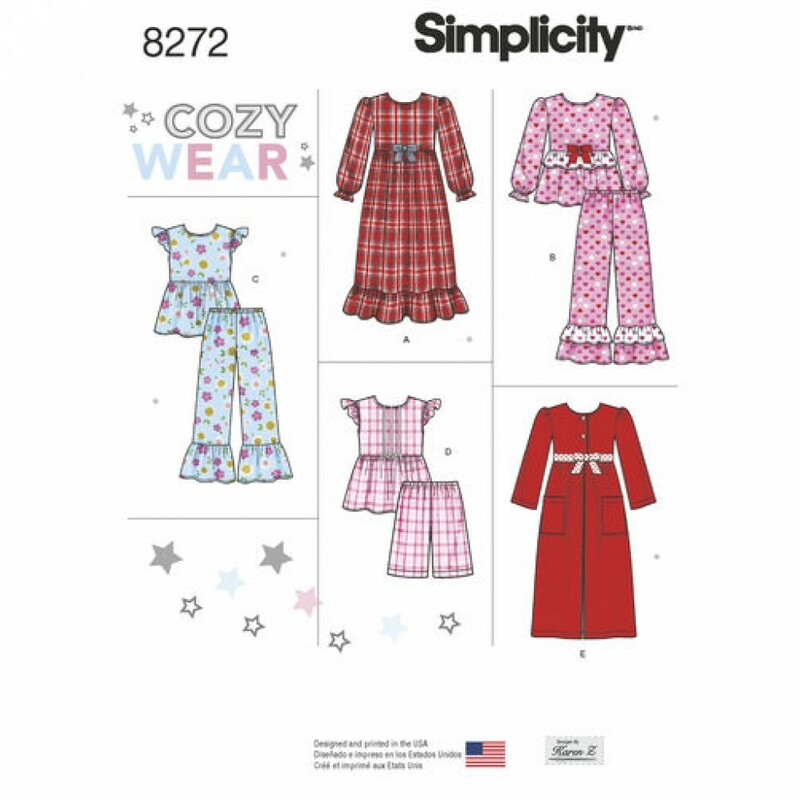 Childs and girls sleepwear and robe features bow at the waist and ruffle hem. Two piece set features pants with gathered ruffles and top with flutter sleeves or ribbon trim. 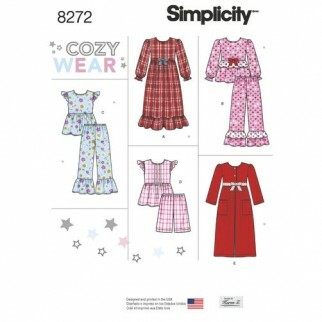 NOTE: if used as sleepwear, use fabrics and trims that meet the flammability standards set by the U.S. Government.